The unicorns of Rainbow Valley are back--and on an around-the-world tour! Best of all, they still enjoy playing hide-and-seek. Kids can join in by finding all seven of these magical creatures in every scene, from the bright lights of Broadway to Rio's carnival. Fans of the first ... read full description below. The seven unicorns of Rainbow Valley are back--and on a big adventure! Can you find them in every scene, from the bright lights of Broadway to the excitement of Rio's carnival? Unicorns love playing hide-and-seek . . . and they're asking eagle-eyed kids to join the game! 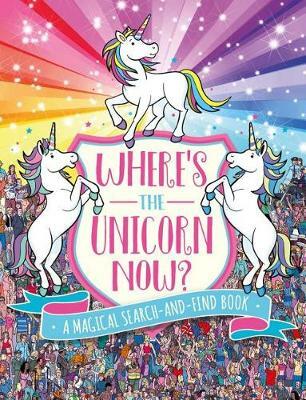 Come along and try to spot every one of these magical animals--Ruby, Blossom, Starburst, Leaf, Snowflake, Luna, and Amethyst--as they go on a world tour. The 17 different fabulous destinations range from London, Paris, and Venice to Giza, Egypt, and Santa Cruz, California. You'll even visit a movie set and go under the sea! 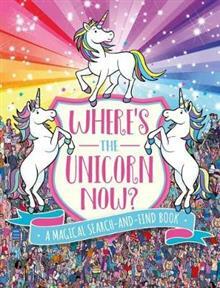 Fans of the first Where's the Unicorn? will have just as much fun with this follow-up. All the answers are in the back, along with a Spotter's Checklist of additional things to find. Paul Moran is a UK-based illustrator who has many years of experience in producing artwork for books, magazines, and toys, using both digital and traditional techniques.